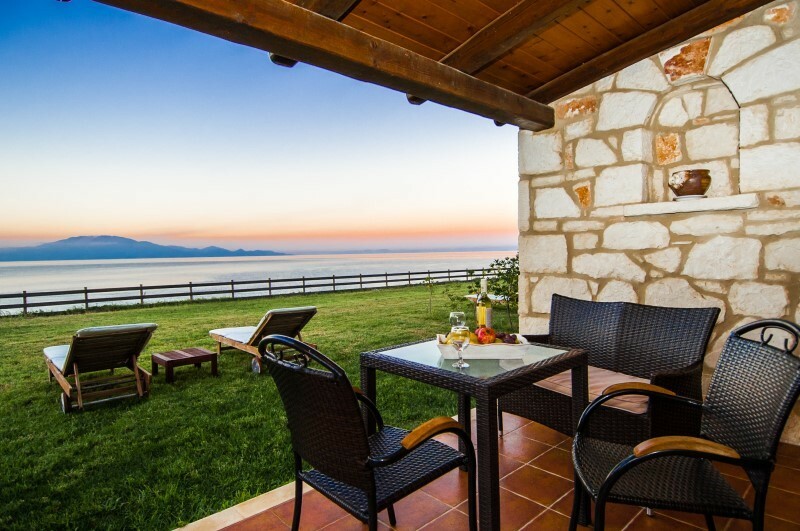 "Kavos Psarou Villas" are beautiful and peaceful sea front villas just 40m away from the sea and the beach in an excellent location for a really away from it all nice holiday. 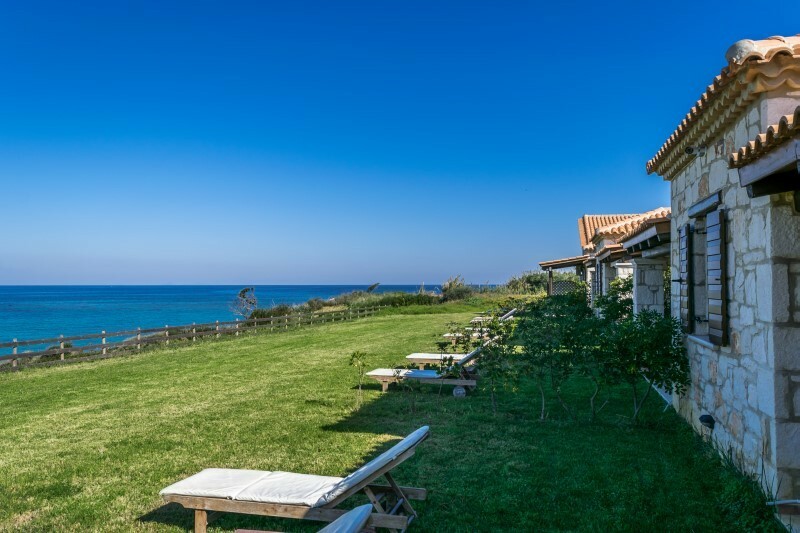 "Kavos Psarou Villas" offers to you tranquility, privacy, excellent sea view in a very nice natural environment, just next to the sea. 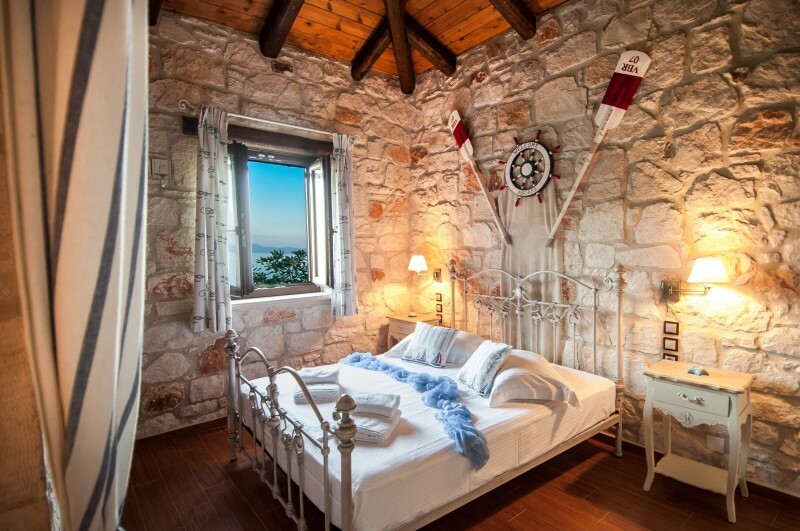 You will be charmed by the unspoiled views of the azzure clear waters, of the clear blue skies and of the neighbouring island of Kefallonia. Our Villas are located at Psarou beach at the east coast of Zakynthos island, next to the Blue Flag awarded Psarou beach at Meso Gerakari village. They are three individual buildings overlooking the azure blue waters of Ionian sea. 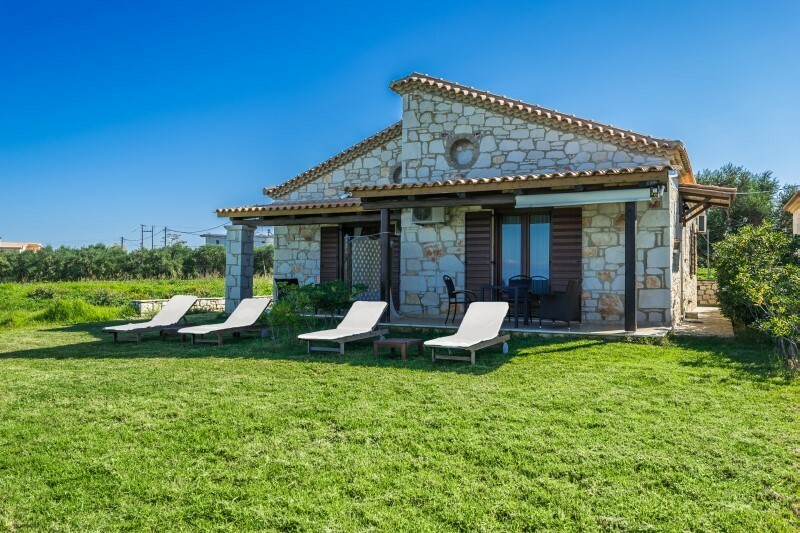 "Kavos Psarou Villas" are located in "Biskinis" estate, which has 25.000m2 of private grounds, offering you the necessary calmness and privacy. Villas are just next to an olive grove. The owner's cottage is very close to the villa's comlplex and the owners (Biskinis family) are always willing to help you, to give you information and to offer their hospitality. The surrounding area is scenic, green and lush with olive groves, orchards and typical Mediterranean vegetation, there are nice to trails to walk with hills towards the inland and plenty of beautiful mostly sandy beaches with the crystal clear water of the Ionian sea in the nearby area. Just next to the villas there is a nice fishermen's port where you can anchor your boat for a small fee.